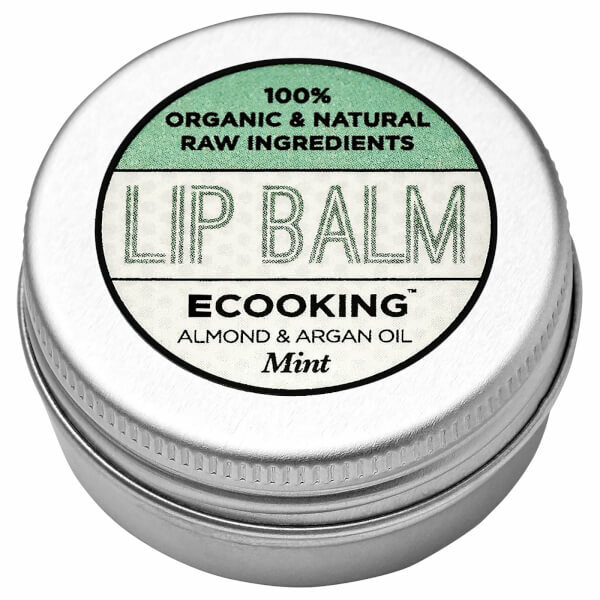 Nourish and protect your lips with Ecooking Lip Balm Mint. Cooling and moisturising, the lip balm contains Almond and Argan Oil to hydrate dry lips, while its dose of Mint helps to encourage circulation to enhance the natural colour of your pout. Smoothing effortlessly on, the balm will create a veil of protection while adding shine. Apply as often as possible as it prevents dry lips. Butyrospermum Parkii Butter*, Glyceryl Rosinate**, Ricinus Communis Seed Oil**, Rhus Verniciflua Peel Cera/Rhus Succedanea Fruit Cera**, Olea Europaea Oil Unsaponifiables*, Prunus Amylgdalus Dulcis Oil*, Cera Alba*, Olea Europaea Fruit Oil**, Argania Spinosa Kernel Oil*, Ascorbyl Palmitate, Tocopherol**, Mentha Arvensis Leaf Oil*.